Was a nice getaway and the people were amazingly friendly everywhere you turned! Great place, Great people! 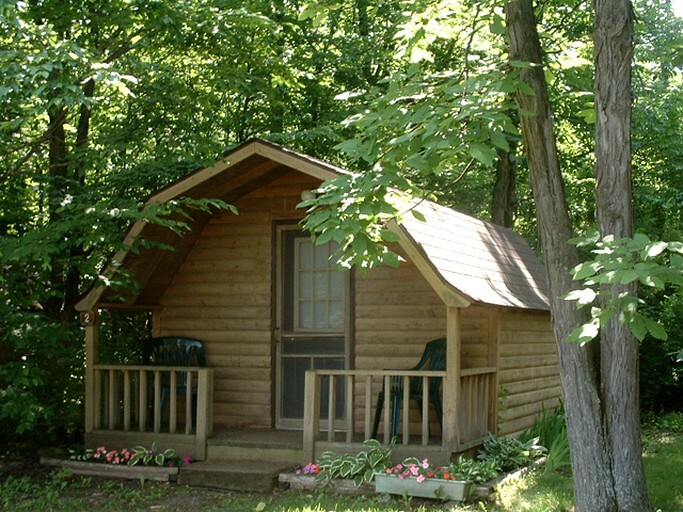 These charming camping cabin rentals are located in a lovely, rural setting near the exciting city of Rochester. They sleep two guests and are furnished with a cozy bed and a television for some evening entertainment. The rentals have water and electricity. Guests can enjoy access to a wide range of facilities during their stay in the heart of nature. 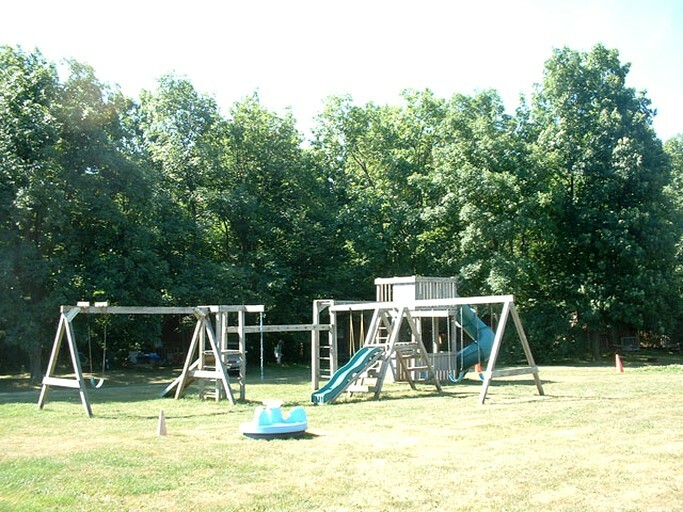 There is a playground that can keep little ones entertained for hours before enjoying a delicious camp meal on-site. There is also a store that stocks ice, propane, wood, and a wide range of other items. Each cabin rental is furnished with a television, water, electricity, a fire ring, and a picnic table. Guests can hire an air conditioning or electric heater for $2.00 per day. There is no end to the adventures waiting to be enjoyed during a stay in one of these cabin rentals. 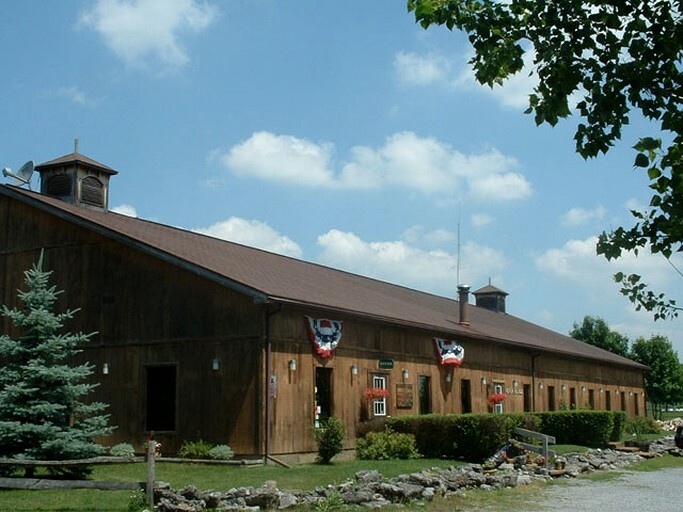 Hiking trails are a great way to explore the area and the site is just a short distance from the Fish Hatchery and Oatka Creek Park. 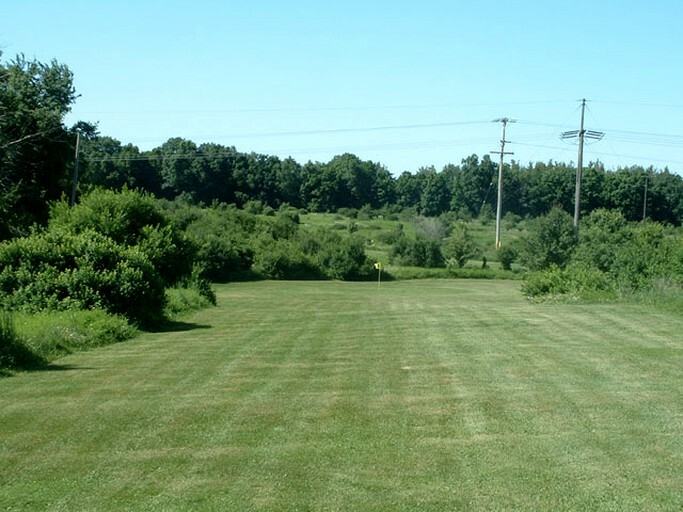 Glampers can enjoy the nine-hole golf course on the premises which boasts breathtaking views. Letchworth State Park is known as the Grand Canyon of the east and is an easy drive from the property. It offers amazing falls in an incredible natural setting and makes the perfect place to picnic, hike, or camp. 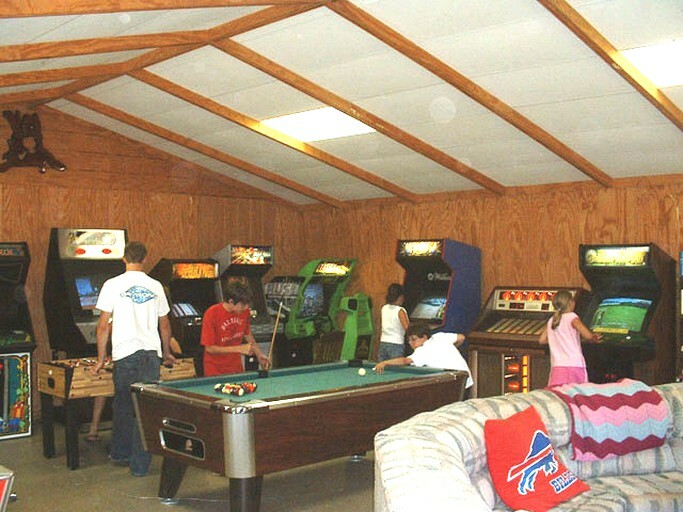 At this site, there is a recreation hall with a games room for the youngsters that offers pool and arcade games. Guests can also enjoy a jukebox and a foosball table. Pets are welcome in the rentals.